From the months of October through April, it feels like we skip from one holiday or celebration to the next- Halloween, Thanksgiving, Christmas, New Years, Valentine’s Day, St. Patty’s Day, and finally Easter. Naturally, with festivities come food, usually followed by guilt and despair. Wouldn’t it be nice to dedicate the days surrounding these holidays to health promotion, education, and changes in food and fitness lifestyle? I certainly think so, which is why I’m happy that February is not only host to Valentine’s Day, but also proudly promotes itself as America’s Heart Month. The Ketogenic Diet: does it work or is it the worst? You’re two weeks into the New Year- have you checked in with yourself? For those of you who set goals or intentions, how are they going for you? If you chose a Word of the Year, have you seen any rewards from adopting this outlook yet? Mine is confidence, and I can say that I am slowly starting to approach business-related goings-on with an attitude filled with more of the Big C, but I know I’ve got an entire year to fully grow into it- thank goodness! When I meet with patients who are looking to lose weight for reasons X, Y, or Z one of my most valuable tools as an RD is conducting a thorough diet recall. Essentially I’ll start by asking them to tell me at what time they wake up, when and what is the first thing they eat, and so on and so forth. They’ll proceed to walk me through a typical day, uninterrupted, telling me about their meals and wrap up their story by saying, “See, I don’t eat that much” or “I feel like my meals are healthy, I just don’t get why I’m not losing weight”. As an RD I know that asking them to walk me through their day once is never the end of their eating story. I’ll carefully revisit their day, asking for elaboration on brands, portion size, and timing, which usually reveals a bit more. Towards the end, almost as a sneak attack tactic, I ask about their drink and snack habits, which have conveniently been left out of their original telling of their story. At long last, I usually uncover their “zinger”, the answers to why weight loss has been so difficult! Workout Wednesday: Is afterburn legit? Welcome to the second installment of Workout Wednesday! Last week’s query focused on calorie “budgeting” for weight loss and how that fits in with increased hunger levels post-workout. While going to the gym for a workout is a huge boost for your metabolic health, you would be mistaken in thinking that the fridge is completely free reign for the afternoon or that becoming a couch potato for the rest of the day is a valid reward for your hard work. In other words, relying on the “afterburn” effect of your hour workout to magically erase any calories over-consumed later in the day would be an ill-advised strategy. Wait, now she’s using coconut in another recipe? YES! Lessons learned from my post discussing the nutritive value of coconut included using it in moderation, and that’s exactly what I’m doing in this recipe. If you’ve taken a look at my “About Me” page, you know that one of my favorite things in the world is the arrival of soft, fuzzy peaches at the farmers markets in the summer months. So, you can imagine I am squealing with excitement over here- it’s peach season! Snack time is a bit messier these days as peach juice rolls down my hands, but I simply don’t care! Of his own choosing my husband requested a recipe with collard greens and portobello mushrooms this week- seriously! If you knew Mr. CN five years ago your eyes would be popping out of your head right now. This is the guy whose vegetable intake was basically limited to guacamole and a tomato pasta sauce when I met him. Now, after years of gentle nudging and a few fancy dinners to expand his culinary horizons, my husband pages through Eating Well magazine in a manner similar to which I delve into newly published nutrition studies. Oh how my dietitian heart sings! The point of this post is not the fact that we enjoyed delicious Collards and Portobello Grilled Cheese Sandwiches, but rather that I have collard greens for days and created a delicious and refreshing lunch for myself this week. Collard green wraps are a great low-carb lunch option and a cool answer your cooking woes during this oppressive NYC heat. The best part is their versatility. I chose to prepare mine in more of a Mediterranean style (still reeling about my recent travels to Spain I suppose), but you could roll up a Mexican or Asian variety by changing the fillings (corn/black bean/bell peppers or tofu/kimchi/scallions, respectively) and perhaps serving it with a spicy or soy-based sauce. Now, if you’re looking at that thick stem running through the leafy green thinking, “this is WAY too much crunch and will taste like I’m eating a twig”, trust me when I say it’s delicious! I was rolling my wrap with a little trepidation, but within my first few bites I was glad I didn’t break down the integrity of the collard by cutting it out- keep those leaves intact! Collards are a Southern staple that are ripe with good nutrition- some of the standout nutrients are vitamins A & K, folate, and calcium. Plus, you get so much bang for your buck- my massive bunch, which will easily feed me/us for 3-4 meals, only cost $1.50. When you get big nutrition for a low cost it’s a win-win! 4 Tbsp hummus- I have found this Brooklyn-based company that I LOVE! Find it at Fairway. Today is March 14th, so math nerds, rejoice- it’s 3.14 or Pi Day! I’m celebrating today, not because I am a math nerd (I actually HATED math as kid), but because it’s also a snow day here in NYC and I’m spending the day in the kitchen whipping up some yummy recipes. While I may not be very fond of math, I am very, very fond of pie. Of the sweet variety, I would have to say some of my favorites are strawberry rhubarb, peach, or blueberry, but I will certainly not turn down a chocolate mousse or peanut butter pie! However, seeing as it’s just me and my husband, and we don’t feel like scarffing down a whole sweet pie by ourselves (sadly, I don’t think it’s in the half marathon training meal plan either), I made a savory “pie” today in the form of a Swiss Chard and Leek Frittata. To my fellow RD’s, foodies, and health nuts- Happy National Nutrition Month! Each year during the month of March, the Academy of Nutrition and Dietetics celebrates all things good food and nutrition, and encourages the public to adopt a healthier lifestyle according to specified theme. This year the theme is “Put Your Best Fork Forward”, which is meant to serve as a reminder to start with making small changes in your habits, which will more likely lead to lasting and enjoyable eating practices. I absolutely love this theme, because it’s something I actually discuss with patients and they do see results! When we declutter our minds from the overwhelming number of guidelines and “do’s and don’ts” of nutrition, and focus instead on choosing one behavior that is going to be easiest to change and sustain for ourselves personally, then we are much more likely to succeed and feel motivated to change other behaviors going forward! 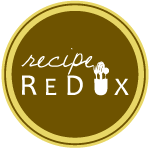 Feeling inspired, I decided to share my advice on the topic of making small and realistic changes in one’s diet on the Stone Soup, a blog by dietitians that runs as a companion to the Academy’s Food and Nutrition Magazine. My tips are centered around shifting your healthy habits during spring vacation travels, so I hope you will find them useful. I’m proud and excited that this is my second time being published on the blog, and you can find my current article right here– enjoy!